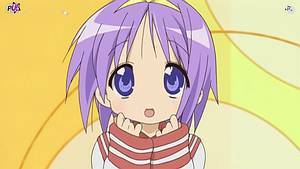 In December 2007, the members and visitors of All Anime World voted for the "Cutest Anime Girl 2007". Collected by email our members and visitors entered 18 girls into the contest. The only requirements: All girls had to be anime characters and may not have won already. Because of our missing webmaster we had a late start this year. Usually this contest starts mid-november every year so this years bad participation doesnt come as a surprise. Only 345 votes were collected for the Cutest Anime Girl 2007 this year. Of these 345 votes, exactly 22 votes were given by registered members leaving 323 daily votes. Considering last years participation this is very close to a horrible result. Not even our affiliates bothered to post our press release on their websites. Ill make sure to leave next years CAG contest in sakuras hands. She might have that "girl bonus" i miss. This is now the official accouncement of the winners in our Cutest Anime Girl 2007 contest. As promised, a copy of Hayao Miyazaki's masterpiece "Castle of Cagliostro" (2006 remake, digitally remastered, with widescreen presentation, Interview, Trailers and Storyboard) is looking for it's new owner. This years price goes to our member "sagematt." Please expect my email soon.